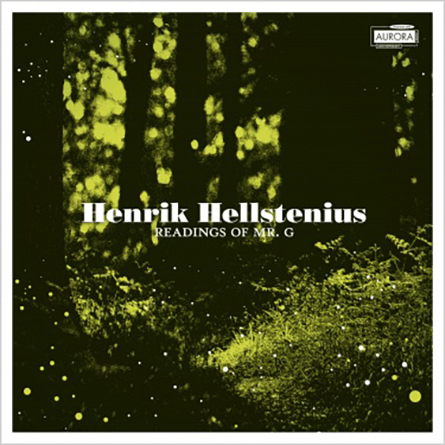 Henrik Helstenius’ music is lively and animated, with an interaction between musical elements that has a strong dramatic element, a reflection of the fact that Hellstenius has worked a lot with music for theatre and dance. The listener experiences an immediate sense of an underlying melodic, even lyrical, sensitivity, either directly or indirectly present. Hellstenius’ close collaboration with the violinist Peter Herresthal and percussionist Hans-Kristain Kjos Sørensen have resulted in two concertos. In ‘Readings of Mr G’, instrumental and theatrical elements are combined. The percussionist is not only a musician, but speaker also: an actor in the widest sense. In the beautiful violin concerto ‘By the voice a faint light is shed’, Hellstenius creates the illusion of a temporal paradox, in that the music has a forward-moving development, but twists and turns will inevitably return us to the point of origin, revealing what the composer calls a ‘spiral form’. ‘Hi Ophelia!’ is the title of the third scene in Hellstenius second opera: “Ophelias: Death by Waters singing”. Even though this excerpt is removed from the drama of the opera, the music’s transient textures, vital pauses and melodic tendencies nonetheless convey the innocent Ophelia’s dreams, expectations and hopes of the future, before she is reduced to a pawn in the struggle for power. A close connection to theatre also exists with the works Book of Songs and Imprints, both sets deriving from work Hellstenius has done for choreographer Ingun Bjørnsgaard’s productions. In Ombra della sera, various musical fragments of the Italian composer Luigi Nono are the basis for the work, allowing Hellstenius’ unmistakable flexibility, marked, gestural lines and extrovert temperament, to function almost like an active counterpoint to Nono’s music.